Ephemera | I have nothing profound to say. I have nothing profound to say. Under the guise of protecting children and reducing substance abuse, gambling and domestic violence, the Federal Government is supporting trials of a new mandatory income management system, known as the ‘Healthy Welfare Card’. Is it ground hog day? Well, not exactly. The scheme, concocted by billionaire Andrew ‘Twiggy’ Forrest, will not be restricted to Indigenous communities as Twiggy has suggested or like the income management (IM) methods employed in the unprecedented Northern Territory Intervention (NTER), 2007. No, there will be no removal of the Racial Discrimination Act this time. The Federal Government has kindly stated that it will not just be Indigenous welfare recipients who will be subjected to their surveillance and control, but the privilege will also be extended to vulnerable and marginalised non-indigenous families (MacDonald, 2015). It’s good to see that we are now testing non-evidence-based methods of welfare allocation on a diverse group of vulnerable and marginalised communities instead of just indigenous communities for a change. Compulsory and voluntary income management schemes, encouraged through monetary incentives, are already utilised in a number of communities throughout Australia (Department of Human Services, 2015). Negative impacts of IM schemes have been revealed in numerous Government and non-Government reports. These impacts include women feeling judged whilst using their welfare EFPOST card (Basics Card); a high proportion of women not feeling safe; a loss of freedom, power and community; as well as control and constraints relating to the use of the Basics Card (Buckmaster & Ey, 2012; Equality Rights Alliance, 2014; Mendes et al. 2014). Some reports have suggested voluntary IM may have assisted people to manage their income, yet there is significant evidence suggesting substance abuse and parenting issues are not impacted (Buckmaster & Ey, 2012; Katz & Bates, 2014). One must ask, “why”? Why are these communities labelled by the government as ‘high risk’? Why are some families and individuals struggling? A 2014 report from ACCOSS stated that 80% of community services in Australia are unable to meet demand with the areas of greatest community need comprising the biggest gaps (ACCOSS, 2014). Mendes et al. (2014) suggest that causes of disadvantage link strongly to broader structural and systemic issues and that IM may not take this into account effectively. Whilst the Federal Government has cut millions of dollars from community services around the country, it is happy to further marginalise families by implementing more controlling and paternalistic policies placing more restrictions on their choices. Plenty of people in Australia who are impacted by substance abuse, gambling and domestic violence do not receive government payments, will their income be quarantined too? Or could it possibly be that the Government is feeding into the old, and unequivocally incorrect, ‘poor people are immoral’ argument? If the Government truly cares about individuals, families and communities experiencing hardship they must stop cutting the services already unable to meet the needs of the most marginalised members of the community. 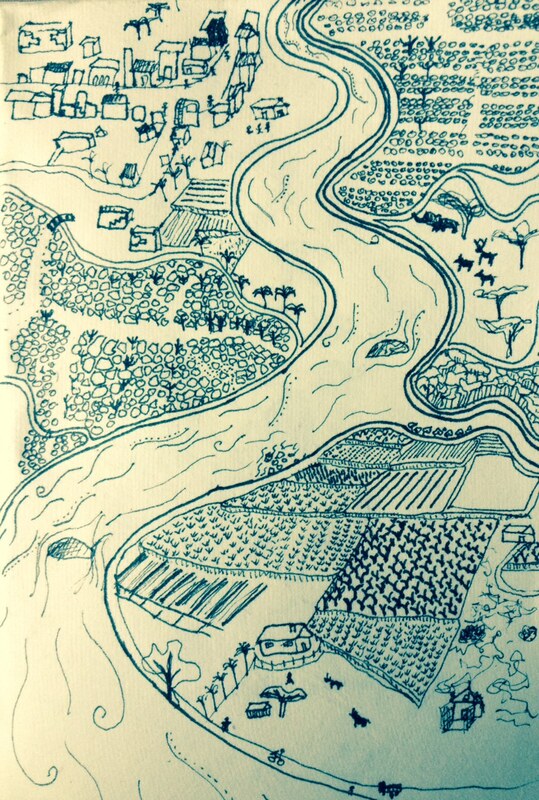 Constantly surrounded by rice, bananas, tea, forest and their captors. I have a guava tree next to my balcony. It’s a favourite spot for various birds to come and play. Ones with green bodies and brown heads, ones completely fluorescent green, little ones with black mohawks and bright red cheeks, ones with bright pink heads, blue ringed necks and colourful bodies, minute little packs of birds whose hues very from brown, to green, to blue, to red. There is also a resident crow-peasant who clumsily hops between the tree branches of surrounding trees. From my balcony I can also see fields with roaming chickens, cows brought every morning by their dedicated owners and for the sharp eye there are also mongoose and spotted deer. Throughout the day the dances of the visible wildlife are accompanied by the chirping of cicadas and crickets, which lurk in the trees and the wet undergrowth below my house. The balcony is my place of solace. Predominantly because its view epitomises whole region in which I am currently residing, and provides a comfy viewing platform at the same time. The only characteristic absent from view are tea fields, their mosaic patterned beauty I have yet to take for granted. My experience of seeing the tea fields is a far cry from my peaceful balcony, for the stunning view of the area is usually accompanied by screaming up or down the mountainous region on public jeeps or buses travelling to towns and villages that are visited as part of my Social Work placement. What feels like a death-defying ride is often partnered with thumping Tamil pop music or a constant deafening bus horn, the latter provoking anxiety and the former trivialising the experience. Despite my Social Work degree drilling it into me that I can’t say things like this, sometimes stereotypes exist for a reason. My commute to ACCORD’s area centres, along with most other experiences which entail after leaving my home, is so quintessentially ‘Indian’ (ie. 18 people crammed into a jeep when the driver is sitting halfway out of his seat/door/window, accompanied by banter in the local tongue/s, being stared at, blaring tabla and my translators continually being asked where I’m from) that the experience of India that everyone talks of has certainly lived up and beyond expectations. Being greeted by at least ten children from the surrounding area on the walk to breakfast. ‘Goooood Morninagggg akka [big sister]’, “How are youu?’. Tea fields. Tea fields. So many tea fields. Warm welcoming faces and kind honest people. Idli, dosa, poongal, appam and other delicious breakfast foods. Learning about tribal culture and beliefs. Deep reflection on my own world views and privilege. I’m still trying to make sense of this place. So far I’ve only been to one small town and one city so my perception is only based on Bangalore and Gudalur in Southern India, thus far. I’m working with ACCORD, an organisation striving to improve the lives of local Adivasi populations. The women wear the most amazing clothes. I don’t think I’m yet to see the same sari or salwar kameez twice. And women are COVERED in gold and silver. Earrings, anklets, toe rings, bracelets, necklaces, hair pins, nose rings. Even women doing the most menial tasks are decked out in outfits far more impressive than any I’ve seen before. Gudalur, the quaint town where I’m residing for the next few months, is nestled in the Nilgiris which is a beautiful mountainous area surrounded by national park, including tiger reserves. They have leopards, tigers, elephants, monkeys and spotted deer. There are also tribal groups (Adivasis) who, today I learnt, used to call themselves a term which could be roughly translated to ‘the people’, only to distinguish themselves as just one component of the forest in which they resided. Their connection to land is comparable to Australia’s first peoples. Tea is grown, processed, sold and drunk in abundance here. 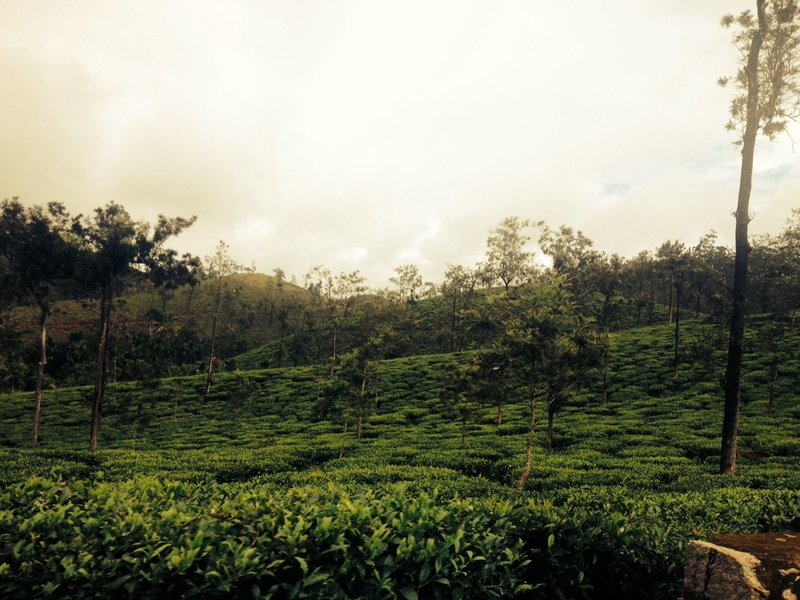 Tea estates in the monsoon season are stunning. My fellow students and I are now regulars at a local teashop run by a friendly man named Abdul. His tea is strong, milky and sweet when requested. 55 rupee for two cups of tea and cakes ain’t bad either ($1AUD). Paratha. A buttery, decadent, accompaniment to dhal is also abundant. Could possibly be described as the pastry of the Indian flatbread world. Need I say more? Every day prayers from the mosque and church bells echo through the valley here. Sitting on my veranda watching mist floating across the mountains listening to prayer in a foreign language evokes both comfort and curiosity. I am surrounded by a countless inspiring, thoughtful, experienced, welcoming, friendly and kind people from incredibly diverse backgrounds. Every moment of every day I am here I am learning massive amounts of information. I have also learnt substantially alternative education systems taught at the local Adivasi school and am beginning to realise how congruent they are with my beliefs. Reducing the amount of competition between children may prove to be incredibly valuable. As would letting them play and learnt at their own pace. 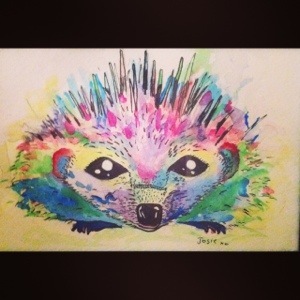 I drew this little hedgehog as a present for my beautiful girlfriend who adores cute creatures. Sketched, coloured with water-colours and fine-lined. The Australian elections are being strongly influenced by Murdoch media. It’s appalling to know that people may base their voting preferences on such ill-informed biased means. GetUp Australia has created this message for Australians. I’ve been getting caught up in study and work as of late. I’ve been completely neglected any kind of creative outlet so I decided to share some photos from Mynanmar, which I shot earlier this year. There still continues to be violence between Buddhist’s and Muslim’s in Myanmar, and the Rohingya people continue to be ostracised. Now that the Government in Myanmar has eased off slightly in regards to their authoritarianism, ethnic tensions are high amongst many groups. I met Christians, Muslims, Buddhists and Atheists as well as the various people from different ethnic groups (Shan, Palaung, Arakanese, Afghan) , and they were all amazing. Their kindness towards strangers (ie. me….a mysterious foreigner) was mind blowing, but perhaps if they had known more about me they may have though differently. Humans have so many different belief systems, that’s where our beauty is. Yet, it’s also one of our greatest downfalls. Don’t let it be yours. My friends father unexpectedly passed away this week. Death isn’t something I’ve had to deal with often, but it’s something which has sculpted her life. Amoungst all of the heartache and despair, I feel as though we must use loss to learn to appreciate our lives. As well as to accept that in all of our wonderfully ambiguous glory, we are undeniably fragile.